Carpet and carpet tiles are the most popular flooring products for commercial installations. 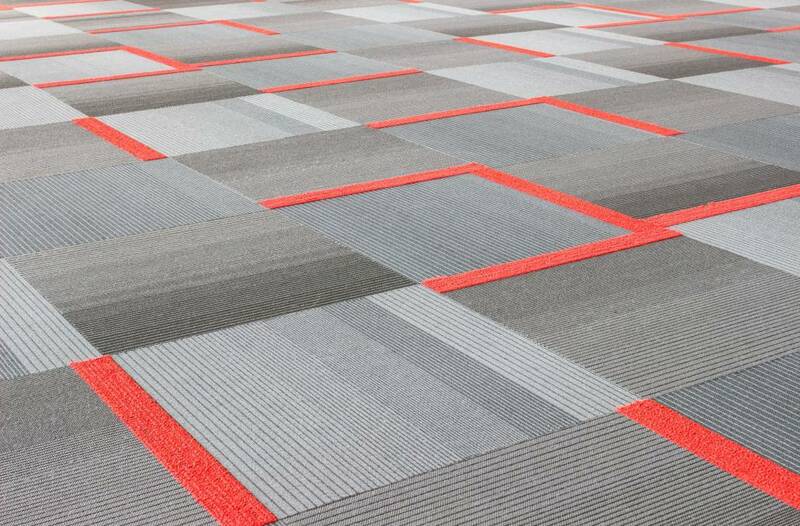 Although the two products are very similar, many office spaces will opt for carpet tiles. 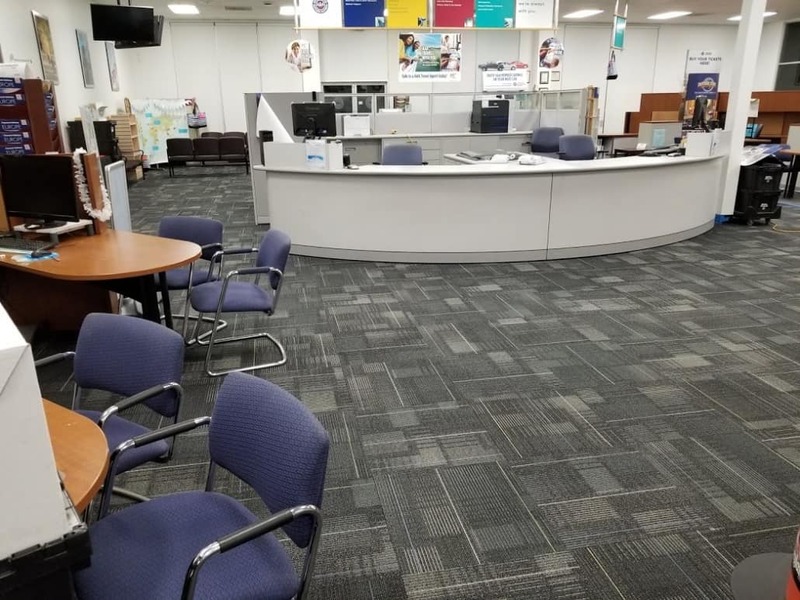 There are many advantages of installing carpet tiles in commercial areas, and here are some of the main reasons why many business owners choose carpet tiling. EASY TO INSTALL – Carpet tiles are small, making them easier to lift, move, and install. Additionally, there is usually less waste because carpet tiles come in different sizes and can better fit specific areas. Meaning installation in any space is simple. EASY TO MAINTAIN – Apart from regular vacuuming and occasional deep cleaning, carpet tiles are easily replaceable if permanent damage occurs. The result of the replacement will not be apparent or patchy because the tiles match the rest of the installation. DESIGN FLEXIBILITY – In general, carpet comes in a large variety of colors and patterns. However, with carpet tiles, office spaces can look professional and straightforward, or incorporate bold designs and accents. 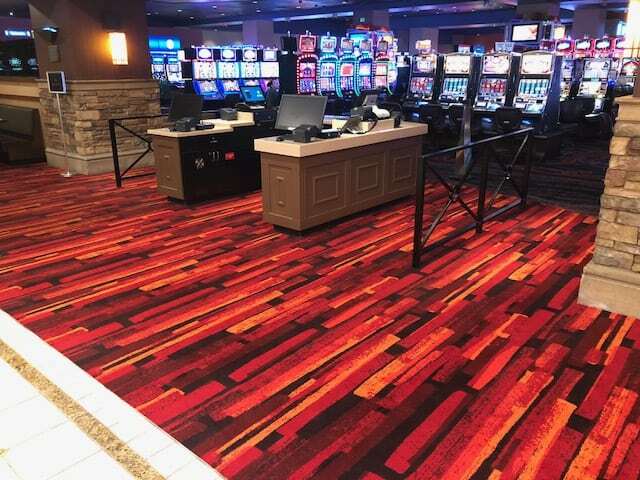 Carpet tiles have a unique look with its seams and when installed properly, the design will look cohesive and add to the overall aesthetics. Installing carpet tiles in innovative configurations and using accent colors are a great way to stand out and make an impression. EXTREMELY DURABLE – Many carpet tile products are enhanced to be stain resistant and have more cushion to absorb the impact of foot traffic. It is made to last, but in case it tears or rips, the carpet tile is still easily replaceable. COMFORTABLE ENVIRONMENT – Most office spaces have carpet because it helps reduce noise levels and provides a cushion to walk and stand on. Carpet tiles have the same effect. Here at JKP Flooring, we offer flooring installations for occupied office spaces, and take carpet tile installations to the next level! Hoping to replace the carpet in your office? Give us a call today for a free estimate at (800) 500-5739. How to Protect and Maintain Your Commercial Carpeting How Long Does It Take to Replace Commercial Carpet?